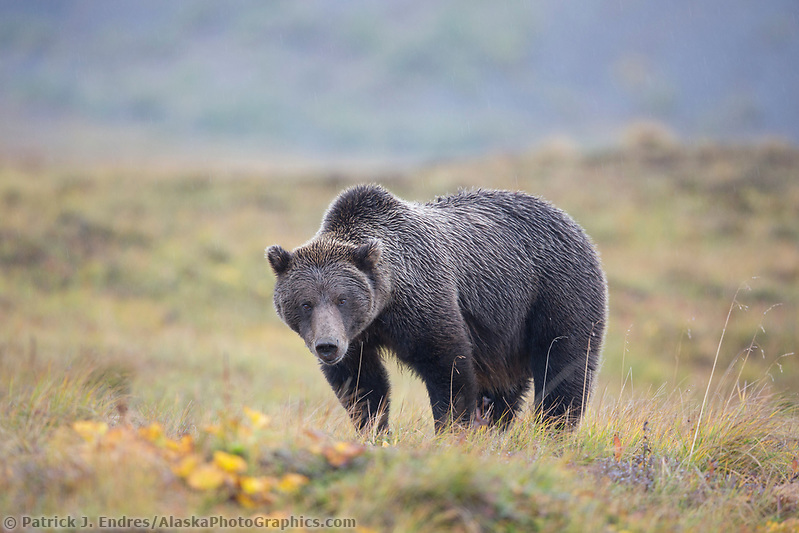 Brown bear photos and natural history information about their life in Alaska. 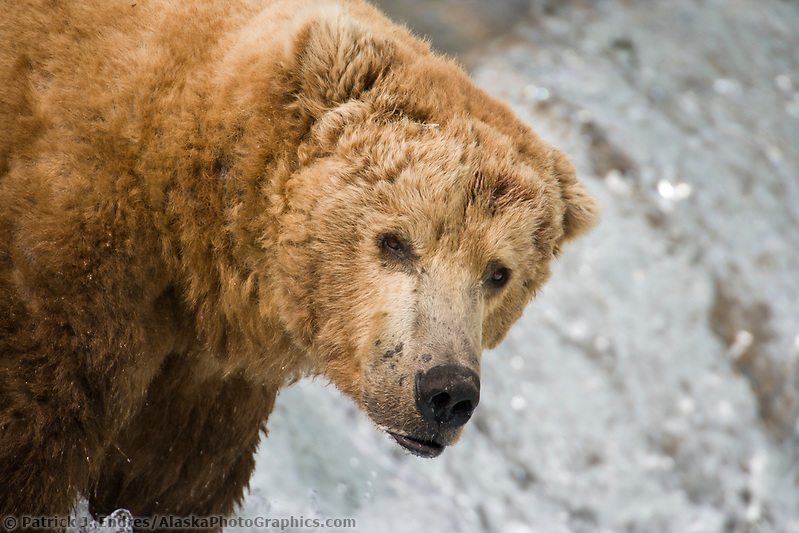 The brown bear photos on this site may be licensed as stock photos or purchased as fine art prints for your home or office decor. 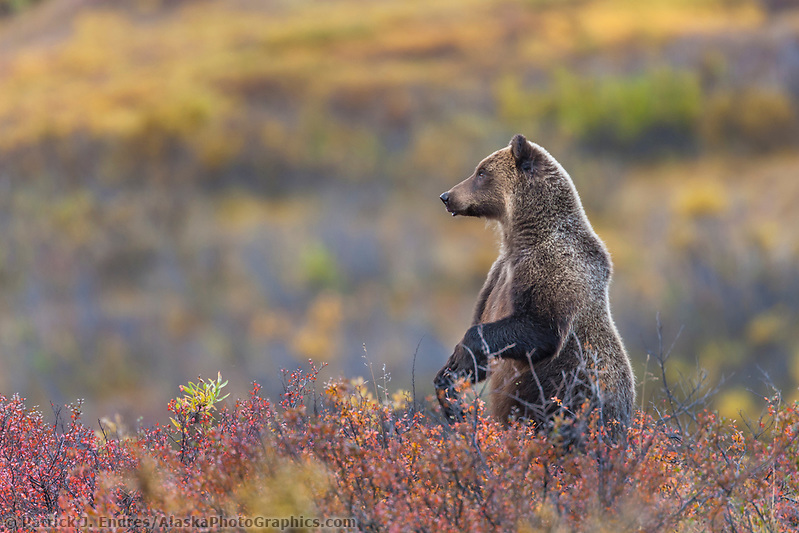 All of the brown bear photos were taken throughout Alaska’s Interior, Coastal, Arctic, and Kodiak Island regions. More photos can be accessed by searching the links below, browsing a gallery, or use a keyword search (top right) for a more specific query. While brown and grizzly bears are considered the same species, it is their diet that differentiates their name description. The term “brown bear” refers to the members of this species found in coastal areas where the protein-rich salmon is the primary food source. Brown bears found inland and in northern habitats are referred to as “grizzly bears” whose diet is largely vegetarian. 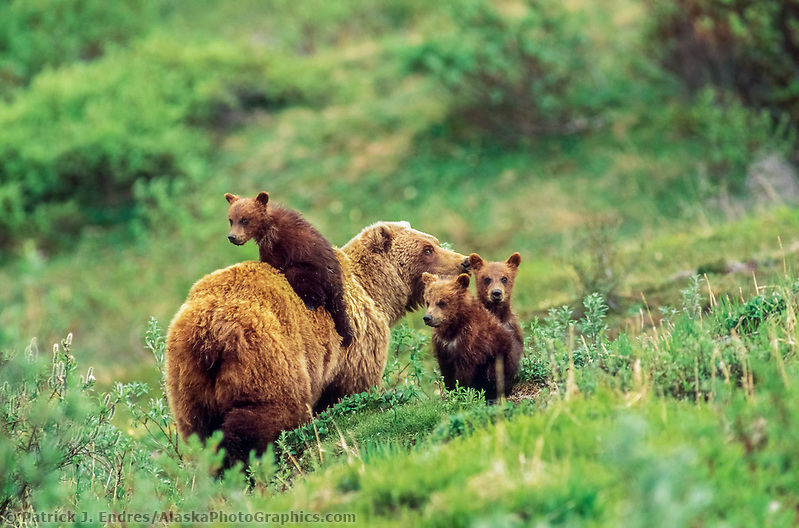 Brown bears on Kodiak Island are classified as a distinct subspecies from those on the mainland because they are genetically and physically isolated. The shape of their skulls also differs slightly. In this discussion, brown bear is used to refer to all members of the species Ursus arctos. The brown bear resembles its close relative the black bear, Ursus americanus, but it is differentiated by a larger body size, more prominent shoulder hump, less prominent ears, and longer, straighter claws. Both the large shoulder hump and the long claws are adaptations related to feeding behavior. 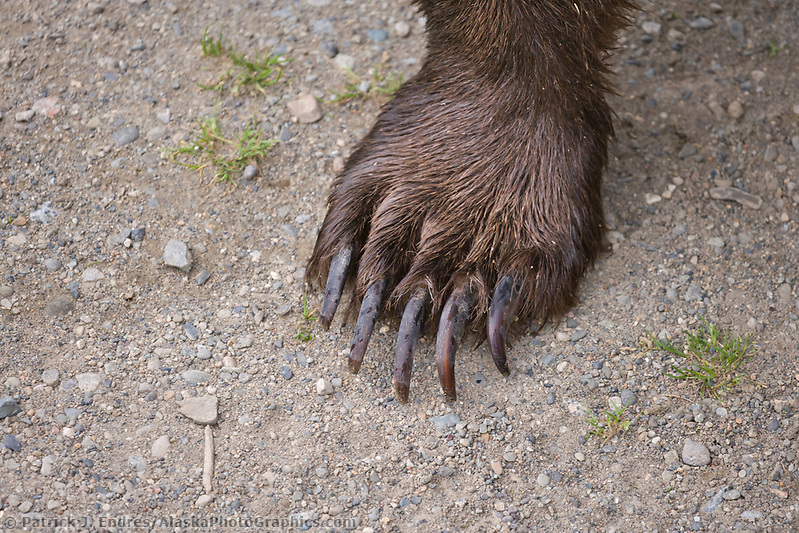 The long claws are useful in digging for roots or excavating burrows of small mammals. The musculature and bone structure of the hump help for digging and for attaining bursts of speed to capture prey. 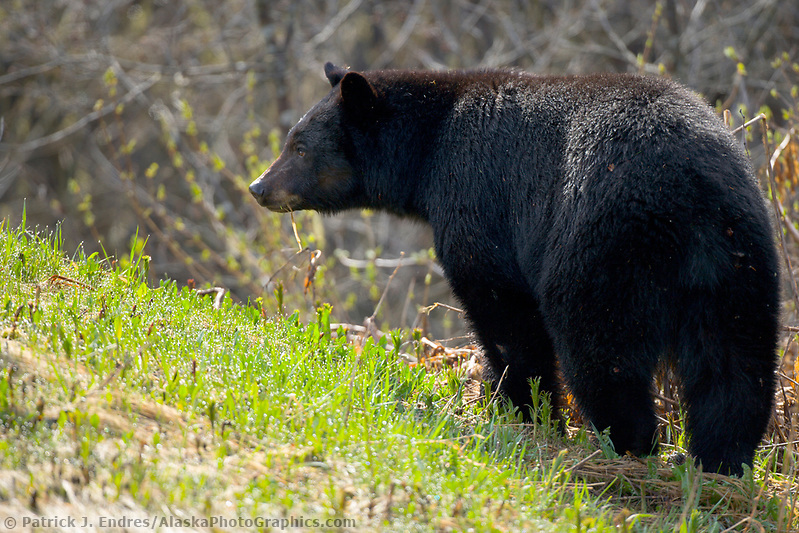 Color is not a reliable factor for differentiating brown from black bears because both species have many color phases. Black bears occur in many shades of brown, blue and white, while brown bears range from dark brown to blonde. Mature male brown bears weigh between 500 and 900 pounds (180-410 kg) with extremely large individuals weighing as much as 1,400 pounds (640 kg). Females weigh half to three-quarters as much. An extremely large brown bear may have a skull 18 inches long and stand 9 feet (2.7 m) tall. 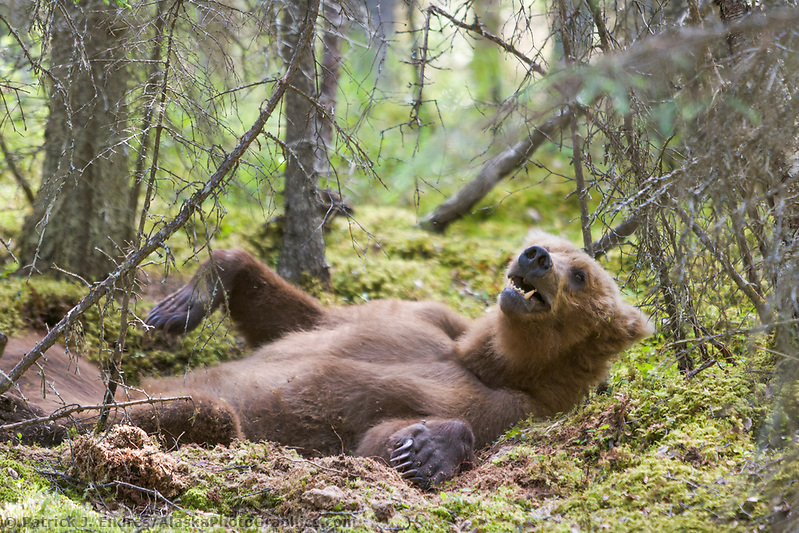 Brown bears liver to an average age of 22 years, although on occasion longer. They have an especially keen sense of smell and under the right conditions may be able to detect odors as far as a mile away. Their hearing and eyesight are probably similar to that of humans. When bears stand upright, it is not to get ready to charge but to test the wind and to see better. Mating takes place from May through July with the peak of activity in early June. Brown bears generally do not have strong mating ties. Individual bears are rarely seen with a mate for more than a week. Males may mate with more than one female during breeding season. The hairless young cubs, weighing less than a pound, are born the following January or February in a winter den. Offspring typically separate from their mothers as 2-year olds in May or June. Following separation, the mother can breed again and produce a new litter of cubs the following year. In some parts of Alaska, research results reveal that offspring may not separate from their mothers until they are 3 to 5 years old. This appears to be most common in areas where food is scarce. Bear populations vary depending on the productivity of the environment. 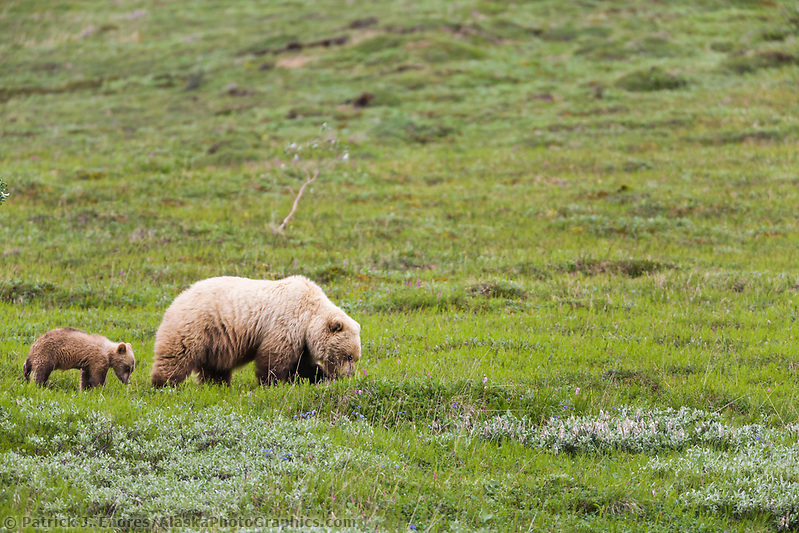 In areas of low productivity, such as on Alaska’s North Slope, studies have revealed bear densities as low as one bear per 300 square miles. 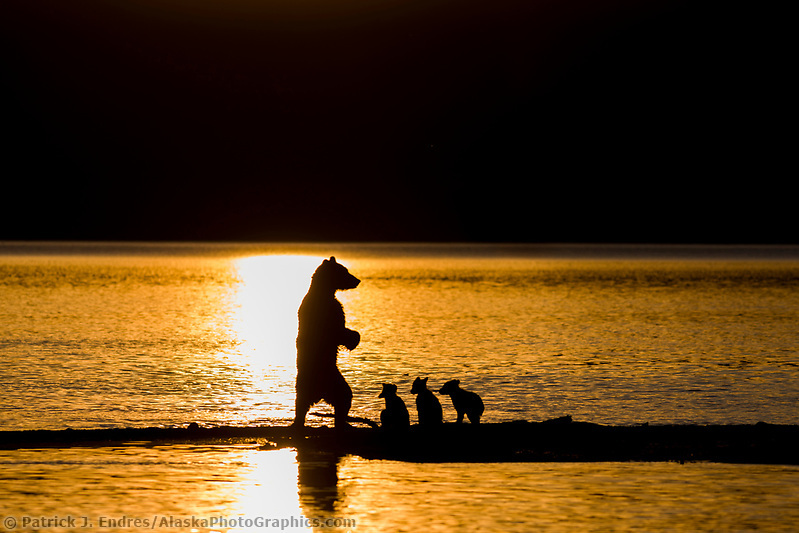 In areas teeming with easily available food, such as Admiralty Island in Southeast Alaska, densities as high as one bear per square mile have been found. 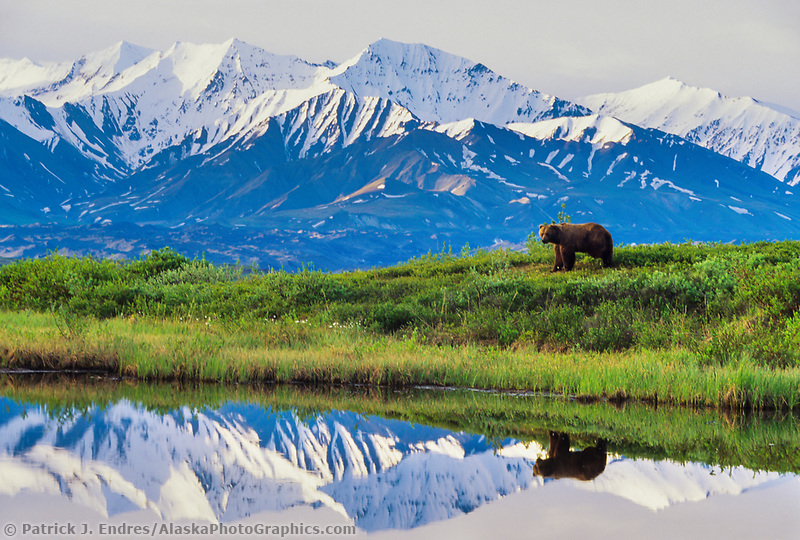 In central Alaska, both north and south of the Alaska Range, bear densities tend to be intermediate, about one bear per 15-23 square miles. These are average figures which should not be interpreted to mean that each bear has this much territory for its exclusive use. 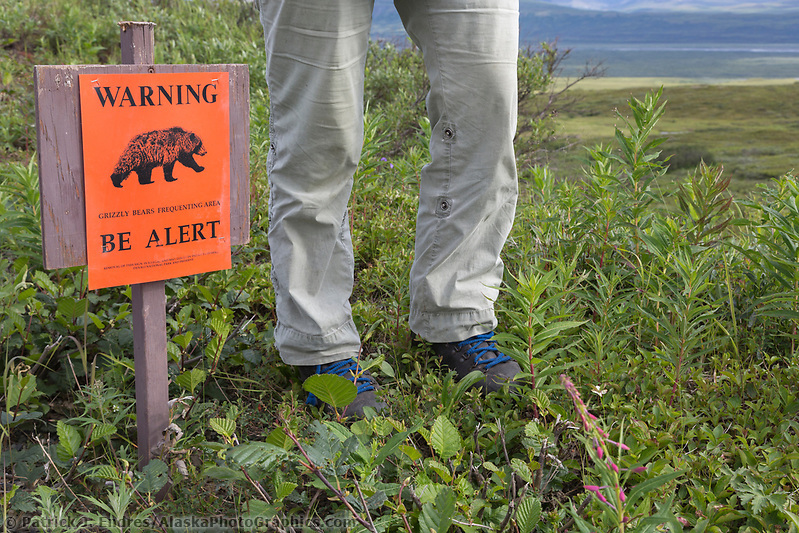 The area occupied by any individual bear may overlap that used by many other individuals. All brown bears should be treated with respect and can be safely observed only from a distance of at least 100 yards. This is especially true for family groups of a female and her offspring as mother bears are very protective towards their young. Bears protecting a food source, such as the buried carcass of a moose or caribou, should also be treated with special caution. 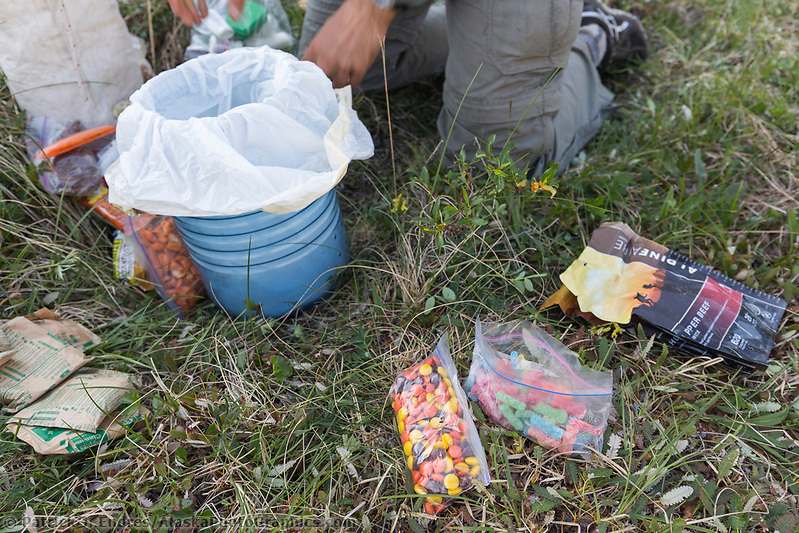 In bear country, campers can best avoid conflicts with bears if they minimize food odors, store their food out of a bear’s reach and away from their camp, and avoid camping on bear travel routes. 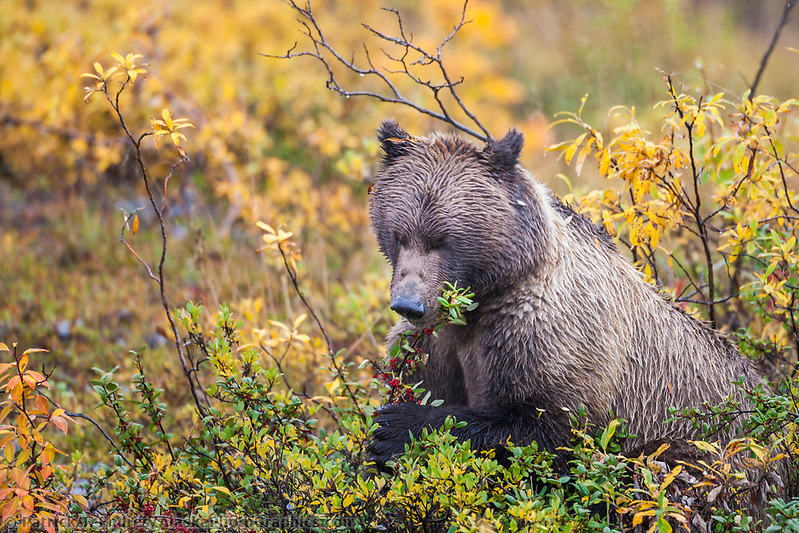 Like humans, brown bears consume a wide variety of foods. Common foods include berries, grasses, sedges, horsetails, cow parsnips, fish, ground squirrels, and roots of many kinds of plants. 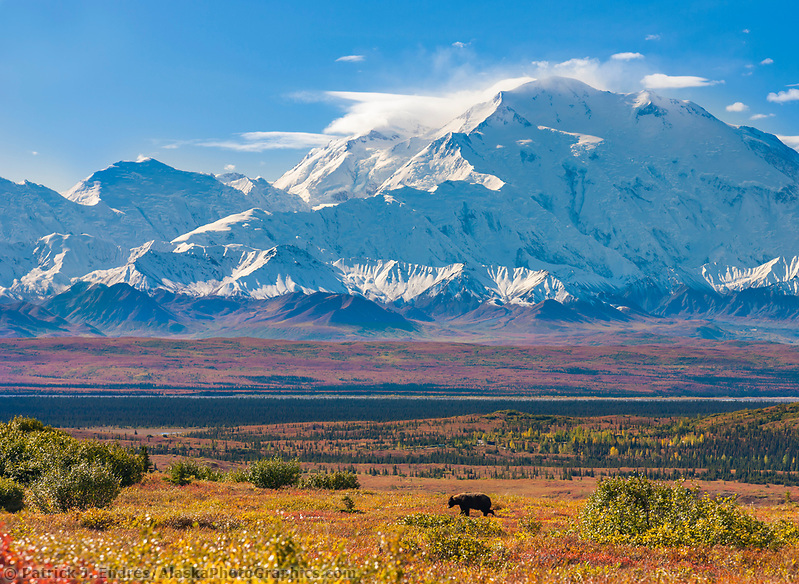 In some parts of Alaska, brown bears have been shown to be capable predators of newborn moose and caribou. They can also kill and consume healthy adults of these species and domestic animals. Bears are fond of all types of carrion as well as garbage in human dumps. Except for females with offspring and breeding animals, bears are typically solitary creatures and avoid the company of other bears. 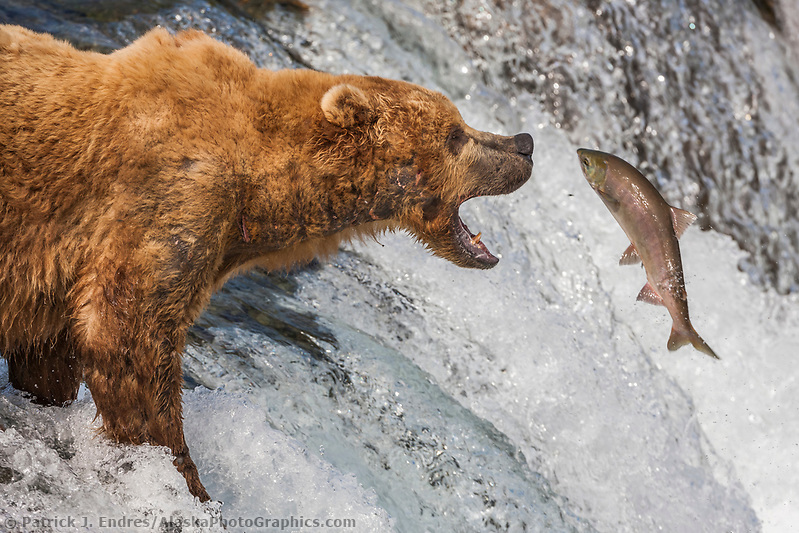 Exceptions to this occur where food sources are concentrated such as streams where bears can catch salmon swimming upstream to spawn. 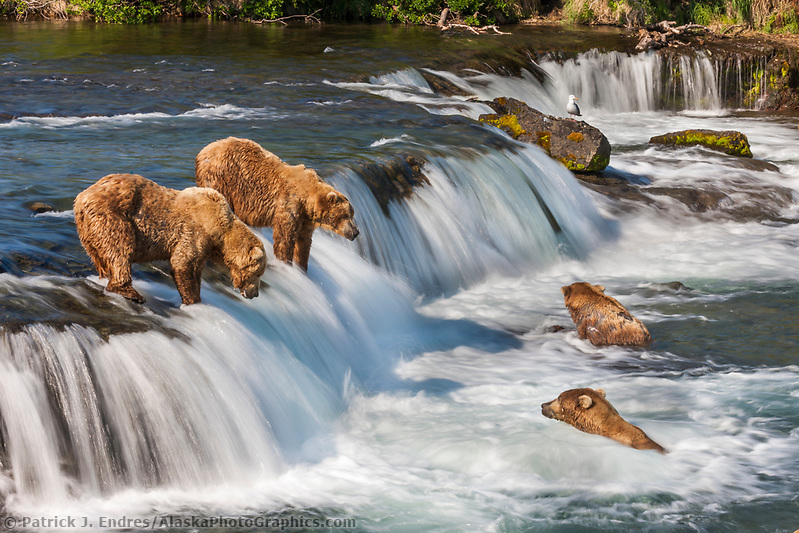 At McNeil River Falls, the largest concentration of brown bears occurs annually. 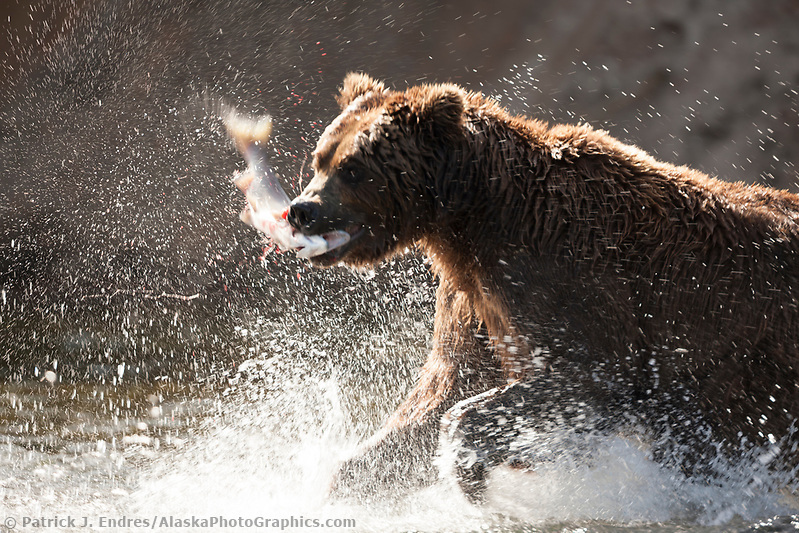 Biologists have observed more than 60 bears at one time, attracted by spawning salmon. 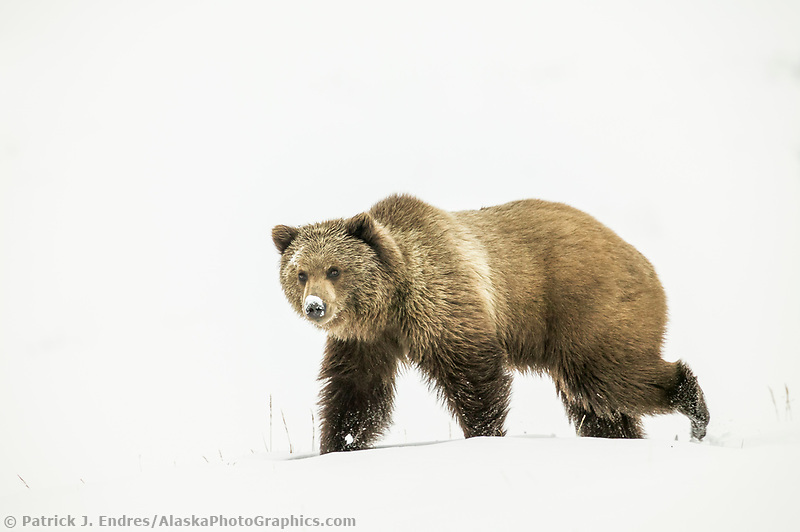 Most Alaska brown bears enter dens and hibernate through the winter when food is scarce. During hibernation, their body temperatures, heart rate, and other metabolic rates are reduced and the need for food and water is eliminated. 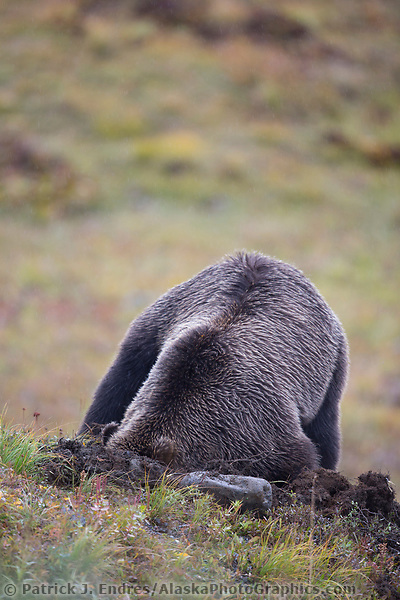 In northern areas with long hard winters, bears may spend from 5 to 7 ½ months in dens. 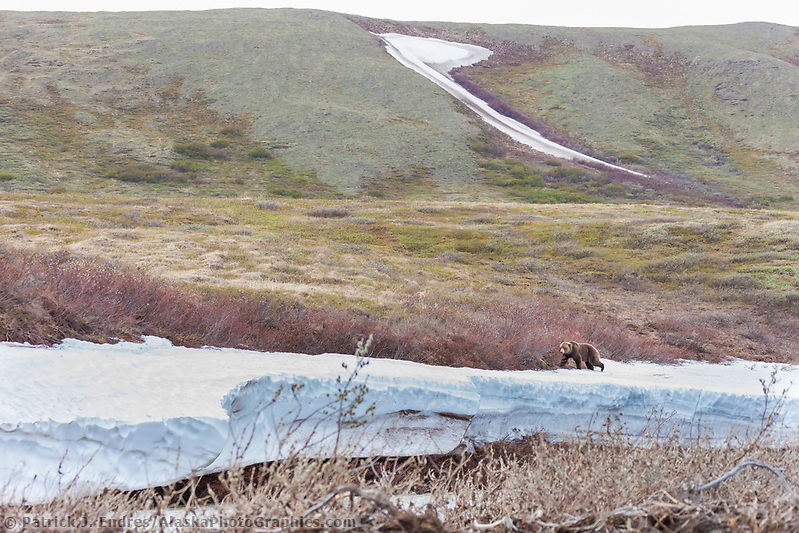 In areas with relatively warmer winters, such as Kodiak Island, a few bears may stay active all winter. 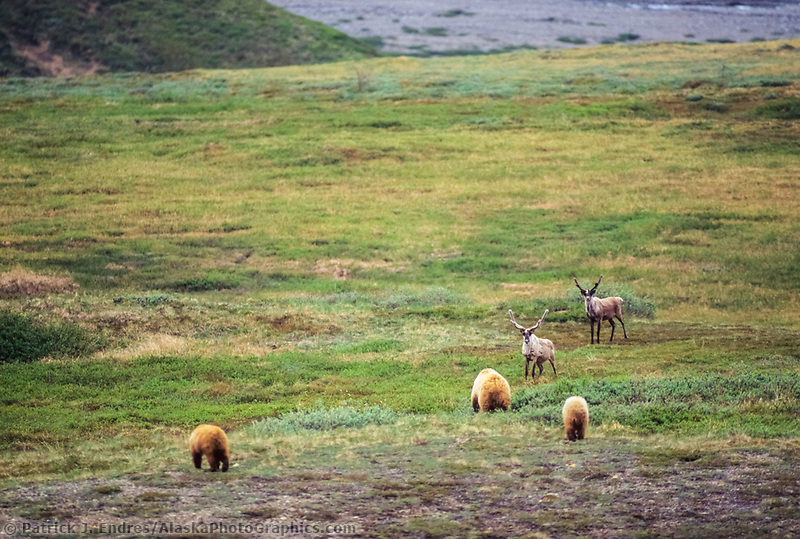 Pregnant females are usually the first to enter dens in the fall and the last to exit with their newborn cubs in the spring. 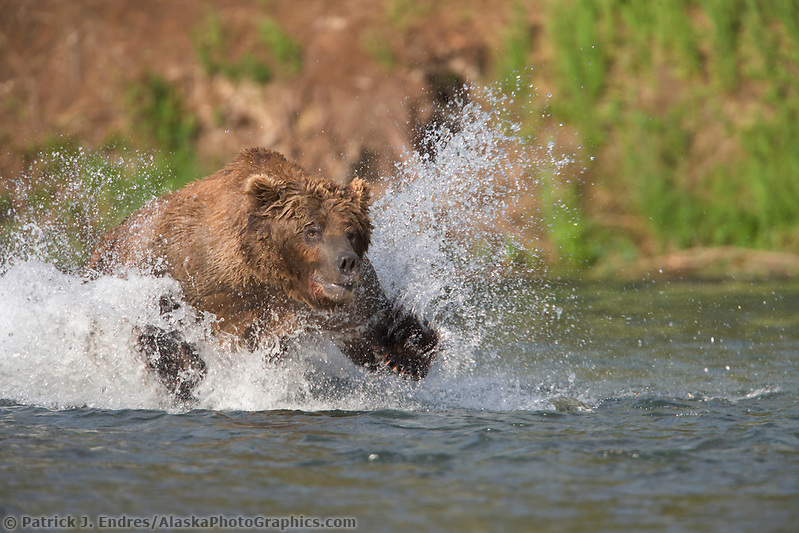 Adult males, on the other hand, appear to enter dens later and emerge earlier than most other bears. 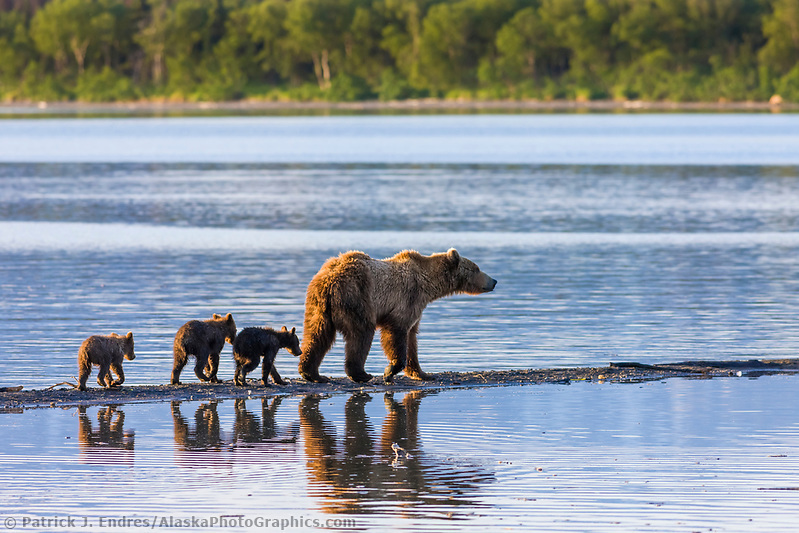 Alaska contains most of the United States population of brown bears, and The Alaska Department of Fish and Game is responsible for managing the population based on scientific studies of the biology of bear populations. Important components of this include preservation of bear habitat, prevention of overharvesting, and conducting the studies necessary to understand population requirements. 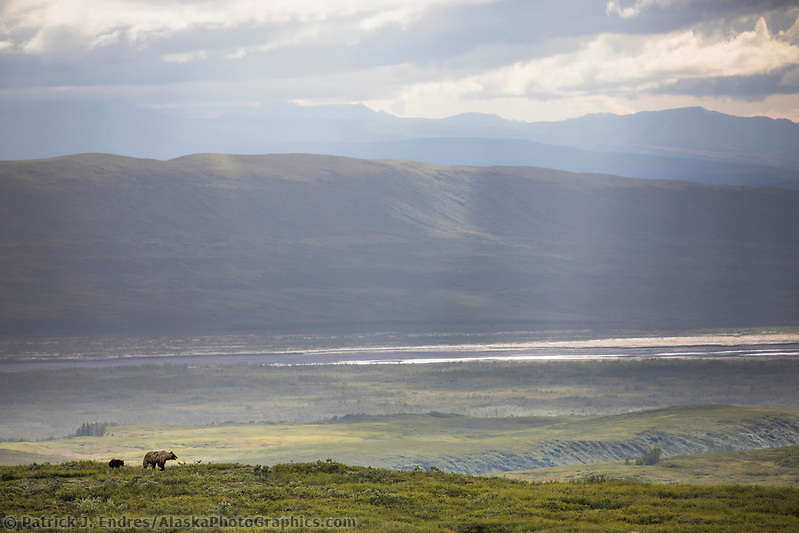 As Alaska continues to develop, it is increasingly important for the public to recognize that maintaining sufficient amounts of habitat for brown bears to continue to thrive in Alaska will mean forgoing opportunities for some kinds of economic development in some places.